The promise of technology on every aspect of human life has been great, especially in the realm of construction management, where we are seeing the age of pens, paper, and file cabinets slowly but surely coming to an end. Though there remains a certain comfort in using the old tools of the project management trade for some, reality is catching up to even the most hesitant of construction project leaders. 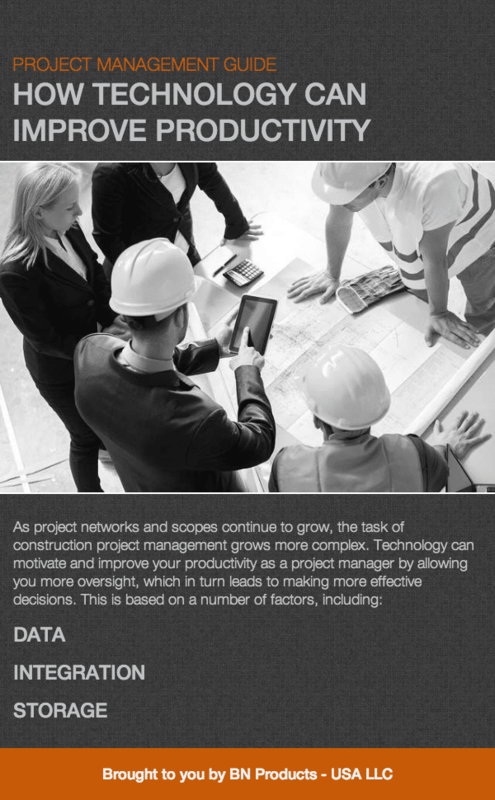 Project management within the construction industry can no longer be organized without the right project management tools and technology, whether it’s communication via a mobile device or the use of software specifically designed to meet every construction project manager’s needs. With most of the time spent traveling to, from, or between job sites, or actually managing workers on the job site, computers and mobile devices, in particular, have become essential tools of the trade. Maxwell Systems ProContractorMX: a complete construction software management system that allows contractors to organize everything from equipment and inventory to accounting. Microsoft Dynamics: provides an integrated, flexible system that helps contractors manage detailed business procedures without a large information technology (IT) infrastructure. HardDollar Project Cost Management: specifically designed for professionals from stakeholders to managers to organize, document and understand everything from project estimating (cost), performance (status), intelligence (data analysis) to takeoff, schedule and ERP integration. ComputerEase: a reputably user-friendly construction project management and accounting software with simple interfaces and versatile features. Dexter + Cheney Spectrum Construction Software: software for the detailed professional, giving the user over 28 interfaces designed for specific, complex information management, from imaging to equipment inventory. UDA ConstructionSuite: for smaller companies and general contractors and home remodelers, this software program is a ConstrucTech Top Products award winner. FieldOne: software that focuses on areas of the construction industry such as plumbing and electrical. Project managers can use this for scheduling and more. BuildTools: a cloud-based project management system designed by custom home builders with custom home builders in mind. Safe 100 Contractor: another complete management system, with accounting and all operations covered. This software is beneficial for smaller companies. BuilderTrend: a web-based construction management software designed for smaller to mid-size operations that is a complete management system helping with scheduling, inventory and other areas. Data: Through the use of technology and software programs, an unlimited amount of data previously unrecorded or untraceable becomes available for review and analysis at project managers’ fingertips. Data can tell project managers everything from whether or not workers have been as productive as they should be on the job, to if there is room for a new replacement rebar cutter in the budget for the fiscal quarter. Integration: By connecting all different aspects of a company’s internal organization, project planning, management and communication by project leaders is possible from any where at any time on any device without limitations that previously restricted project managers and their teams. Storage: By using technology to convert to digital and move away from more traditional storage solutions, project managers are able to keep a record of every facet of their project. This use of technology also allows for instant recall and analysis for reporting and future project improvement and success.